It was for centuries the center of Roman public life: the site of triumphal processions and elections; the venue for public speeches, criminal trials, and gladiatorial matches; and the nucleus of commercial affairs. Here statues and monuments commemorated the city's great men. 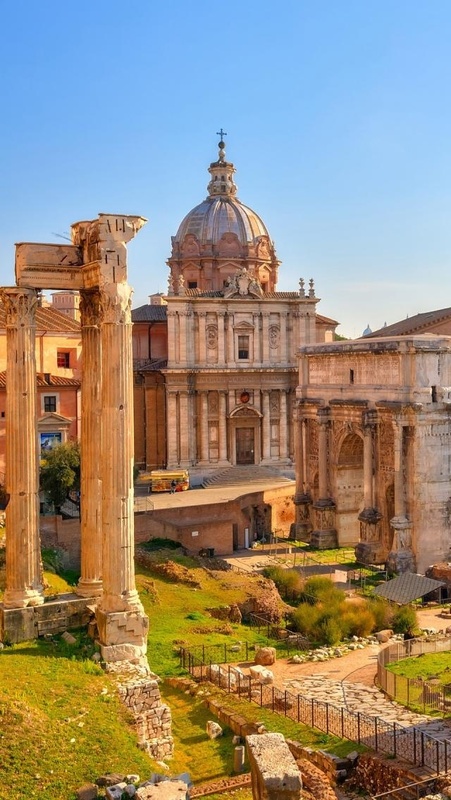 The teeming heart of ancient Rome, it has been called the most celebrated meeting place in the world, and in all history. Located in the small valley between the Palatine and Capitoline Hills, the Forum today is a sprawling ruin of architectural fragments and intermittent archeological excavations attracting numerous sightseers.